A surprise gift from singer Ed Sheeran means pupils will be able to build their own Lego House, inspired by the star's hit. 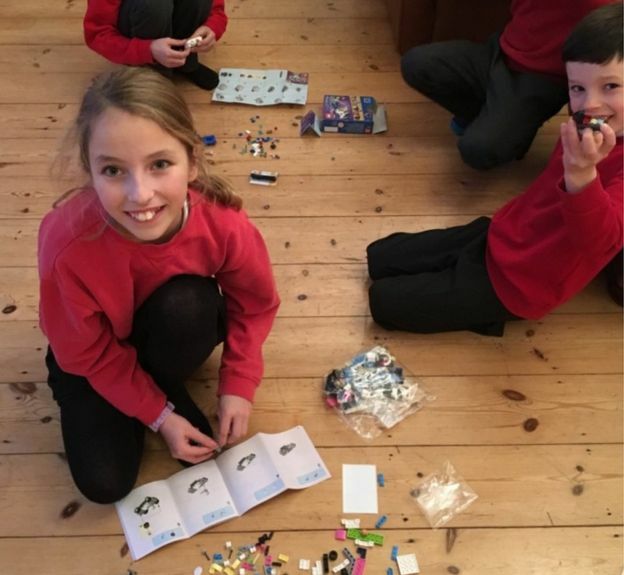 The Lego club organiser at All Saints Primary School in Laxfield, Suffolk, said she asked Sheeran and his fiancee Cherry Seaborn to become presidents. Ria Cox said they declined due to their busy schedules, but sent a present of more than a dozen boxes of Lego. A note read: "Hope the children love the Lego - love Ed and Cherry." As first reported in the EADT, teaching assistant Ms Cox made the "cheeky" offer when she saw the couple at a pub near Framlingham, the singer's home town. She said: "I didn't want to disturb them but I couldn't look a gift horse in the mouth, so I wrote them a note. "It said: 'From looking at Google, I can see that among your honours you can't count being El Presidente of a school Lego club. We would love for you both to be ours,' and then invited them to our weekly group." Head teacher Melanie Barrow said the school had not expected Sheeran's "amazing generosity". 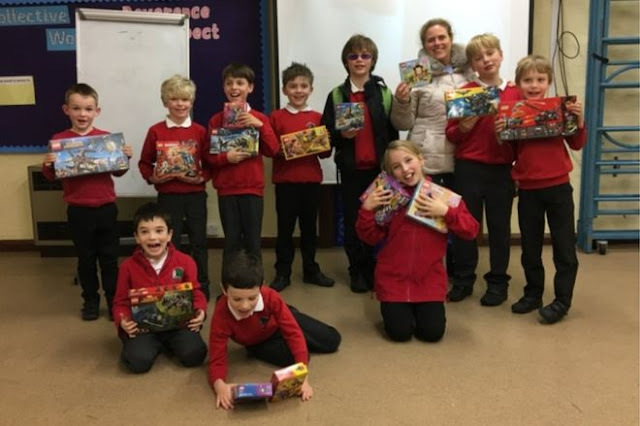 "We were really shocked that a little while later a great big box of Lego arrived for the children," she said. "I think he's had friends who've gone through the school and it seemed like something he'd find quite amusing." The school's 16-member Lego club has become a popular after-school activity. The construction toy has also been used in science, technology and maths lessons, and in therapy sessions for children with autism. Sheeran's gift - estimated to cost between £300 and £400 - will now be used to set up a Lego library so more children can play.